I’m a bit overdue for this post. It has now been two months since leaving Hong Kong and returned to an amazing city that I first saw 10 years ago. I thought my first experience of arriving in San Francisco after growing up in the Midwest was a culture shock, it did not compare to returning in 2014 after living abroad. I have jumped straight into my new career, jet-lagged and all, and I have to say it is an amazing, fast, head-spinning magic carpet ride so far!It’s been a mild adjustment moving from a B2C world and into a B2B world. It’s been a bigger adjustment re-adapting to not just San Francisco but also the States. Hong Kong was a bustling, fast, no-nonsense, act-or-get-run-over type of city both in lifestyle and in business. San Francisco is much more of a mellow, laid back, easy-going, I’ll-get-to-it-later kind of city. While I definitely enjoy being laid back, there is a time and place for it and not as a perpetual state of living or business. I was just getting used to the metric system, small specialty shops, excellent/modern transportation and technology, authentic food, and a much more accepting and aware mindset in terms of the world and it’s cultures. Back in the States… the Imperial system really IS confusing. Transportation/technology infrastructures are forehead-slapping sad. Americans are in a self-imposed bubble on the whole when it comes to awareness and acceptance of the rest of the world. And doing business is slow and complicated as all hell. Don’t misunderstand me. I’m an American, born and raised, and I love my home but it is truly life-altering to live elsewhere in the world where you can finally start to see a bigger picture and begin to understand just how much we lose ourselves in the simplest day-to-day bullsh!t. I’m still in a state of reverse culture shock but am also enjoying the new adventure so far. 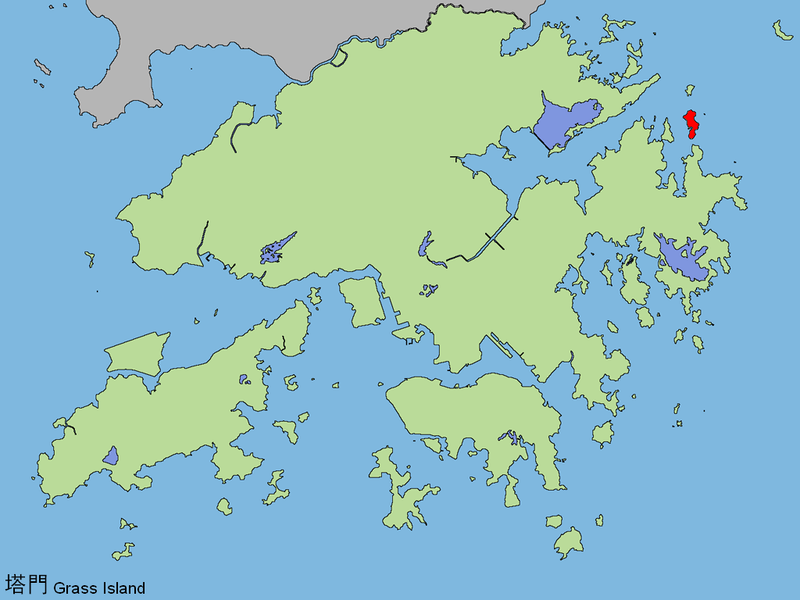 This past weekend, I took a hike with some friends out to Tap Mun Island in the Sai Kung area of Hong Kong (click on the map, it’s the red island in the northeast area). It’s kind of like a National Park in the U.S. It was a bit of a trek to get there having to take the MTR (subway), then a bus, and then a ferry. All in all, it was a 3 hour transport. The island was pretty neat though and worth the effort to get there. There are only about 100 residents on the island located in a small fishing village that resembles more of a military barracks than a village. As much as I like Hong Kong, it’s always nice to get back to nature a bit. The paths are fairly multi-use and family friendly and the hike itself wasn’t too strenuous but still gave some great views, even though it was a cloudy day. There seemed to be some sort of adventure race going on while we were there. I wasn’t able to find out at the time but I’m looking into it. If there is adventure racing in Hong Kong… I’m all over that like a fat kid on cake!